Days into the process of dismantling the Belize City Center, which was started by Cisco Construction Company on Monday, September 23, a worker suffered massive body injuries – including a broken nose, broken arms and legs, and rib injuries – after a concrete wall fell on him at about 5:30 p.m. Thursday evening. He is now fighting for his life at the Intensive Care Unit at the Karl Heusner Memorial Hospital (KHMH). Egbert Jones, 23, a Belize City resident, was a member of a demolition team that was knocking down a concrete wall on the ground floor of the City Center when the wall collapsed on top of him. He was quickly rushed to the KHMH, where he has now been declared to be in a critical but stable condition. Jones’s co-workers who witnessed the incident said that they were knocking down the wall from the inside manually with a maul, when the wall gave way and fell on Jones, who was on the outer side of the wall. Reina Gonzalez, who is the project manager in charge of the City Center demolition, told Amandala in an interview that she had stopped several teams that were seen violating their safety rules. She said that some teams had developed a technique to knock down the walls from the bottom up instead of from the top, which she strictly discourages. She had just reemphasized safety to the team, and had gone to another area when the accident occurred. Gonzalez said that the accident should not have happened, because they are constantly being reminded about safety. She mentioned that in one instance she had stopped a team and demonstrated to the workers the safe way to demolish a wall, and she had stood there to ensure that it was done correctly, but later came back and found that safety instructions were again being ignored. Gonzalez said that she again stopped them, and again demonstrated to the workers the safe procedures, and they began to get agitated because, according to them, the safety demonstration was slowing them down. However, after the wall collapsed on Jones, the workers started to recognize the need for the procedures, and are now very aware of what can happen when safety is compromised, she said. 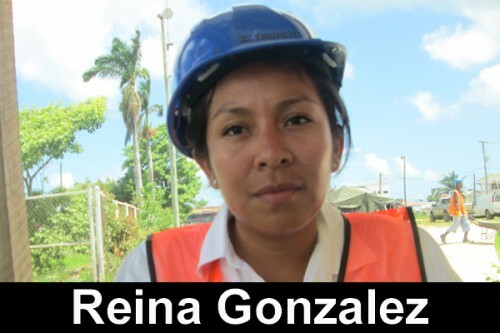 Gonzalez said that she does not expect another such incident, since the workers are now quite safety-conscious. She said that 95 men are working on the site, and there are several teams that have been sub- contracted to demolish the center. There are teams to demolish the bleachers, the concrete walls, and other areas, and all is being done manually, providing much-needed jobs for the men and their families.